Ducted Air Solutions takes an inclusive partnership approach with clients to ensure the smooth completion of projects. We provide comprehensive Hygiene Audit Reports, Safe Work Method Statements, Daily Work Logs and Hygiene Validation Reports. At the onset of most projects a Hygiene Audit report is forwarded with the quote. This report is compiled in accordance with AIRAH Best Practice Guidelines and AS/NZ 3666/4; from onsite visits, perusing As Built plans and discussions with the clients’ key personnel. The report is supported with digital imagery and when required hard surface sampling, air sampling and air velocity measurement reports. 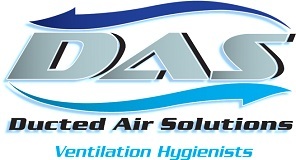 DAS conducts all projects in collaboration with the client in accordance with that report. These logs form an important element in DAS Quality Assurance and are made available to the client if requested. Comprehensive SWMS are compiled by the Project Manager for each individual Project and comply with the requirements of our QA registration with CM3. All staff are inducted to the Statement prior to Project commencement, and the document maybe amended during the Project to reflect any changes that occur to the Scope of Work or work environment. These reports form a major component of the DAS Quality Assurance process. The report is compiled comparative to the Hygiene Audit Report at the conclusion of the Project. It provides the client with a comprehensive synopsis of the hygiene and physical status of the HVAC system post remediation. For details of our reporting services, simply contact our specialists by calling 1300 561 390 or using the contact form below.